Do you stream videos through a PC, game console or other device? 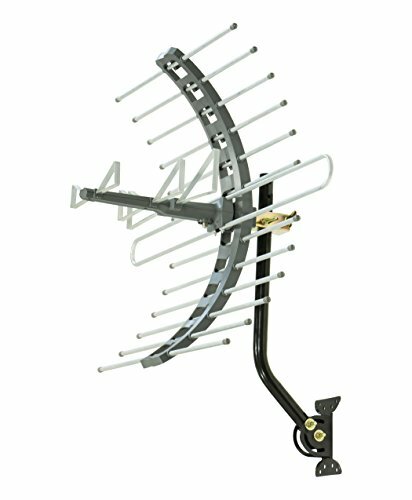 By adding a GE Pro Outdoor/Attic Mount Antenna, you get free local channels in superior HD as well! Made for enhanced high-definition reception, the Pro Outdoor/Attic Mount Antenna optimizes your free digital channels in full 1080P HD. Compatible with all television brands, the Pro Outdoor/Attic Mount Antenna is 4K Ultra HD capable and works within 70 miles of the broadcast source. The GE Outdoor/Attic Mount Antenna is the ideal counterpart to streaming digital content, helping you eliminate pricey cable and satellite services for good! This product is backed by a limited-lifetime warranty. Note: Antenna reception range is based on a line of sight signal path from the TV broadcast towers to your home. Several factors can limit reception range at your location. Some of these are mountainous and hilly terrian, obstructions in the signal path and metal construction materials. Position your antenna towards the broadcast towers for best performance. Compact high-performance antenna design makes it easy to mount and position for best reception. Signal Enhancing Reflectors increase the signal strength and reduce signal dropouts. Rugged construction for tough outdoor conditions. Easily mounts in the attic for excellent reception while staying out of sight. Mounting bracket, mast and assembly instructions included. Antenna includes weather-resistant mounting bracket, mast clamp and J-mount for a wide variety of mounting options. Antenna can also mount directly to a standard antenna mast. Broad-spectrum reception for both VHF/UHF stations. Receives uncompressed 1080P signals. 4K ready.